A few weeks ago I started feeling really anxious and stressed again. I didn’t have a clue why. One day, I could feel all morning that I wanted to cry and when I got in the car at lunchtime, that’s exactly what I did. To this day, I still don’t know why that happened. When the snow came for the hundredth time last week I started to panic. I got in the shower to get ready for work and ended up having a small panic attack. I didn’t want to drive to work in the snow and my body basically screamed at me not to do it. I spoke to one of my managers and she told me I could work from home. I barely did a thing all day (my manager does know this!!). I replied to a few emails and that was it. I felt so ill, I couldn’t concentrate on anything. I curled up on the sofa and that’s where I spent my day. Monday morning came and I felt even worse. I rang my manager and as soon as I started talking, she knew I wasn’t right. I’d been put on some new tablets and I had nearly every side effect going. I’d barely eaten. I dropped approx. 5lbs in 10 days and I had no energy at all. I phoned the doctors, got an appointment and as soon as he saw me, he took me off the tablets and prescribed me some new ones. Within a day, I started to feel a little better. By Wednesday, I was almost back to my normal self. Thursday came and other than feeling tired, I was nearly there. The sun is shining and work was extremely quiet. The Easter holidays have started and people must have decided to go away for the weekend. They certainly didn’t want to buy a house anyway! Overall, I feel probably about 90% back to myself. I’m excited to go away on holiday soon and I’m so happy that, at least for today, the sun is shining. I’ve taken myself for a little walk to the nearby shop and it felt so good to be outside and not freezing! When I realised I was starting to feel how I did a year ago, I knew I had to try and do something about it. 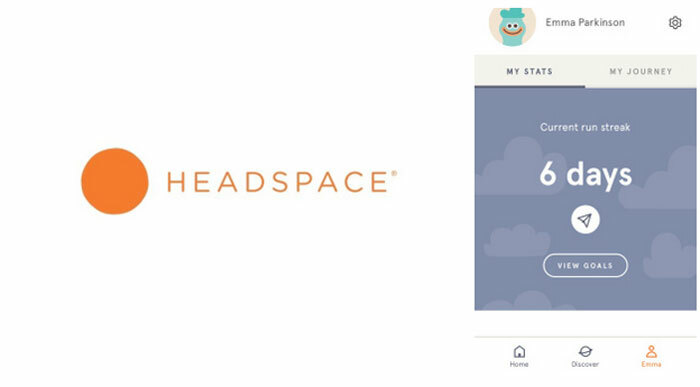 I downloaded the Headspace app and decided to really set my mind to meditating at least once a day. Within the last week or so, I have managed to meditate twice a day most of the time. I’ve found myself really enjoying it. It’s genuinely relaxing; it’s good to just calm you down. The breathing that you do during meditation manages quite quickly to find it’s way into your daily life. If I’ve started to feel a bit stressed or upset, I have just stopped and taken a few deep breaths. It sounds so simple, but it really helps. Since doing the ‘basic pack’ which was free, I have since subscribed to the full app. I decided to pay monthly which does work out to be a bit more money (£9.99 a month). I might change it one day. I think the lifetime subscription is about £400 so I certainly won’t be doing that any time soon. I’ve got to say though, to me, the £9.99 a month is totally worth it. I’m enjoying using the app and keep trying to recommend it to other people (I swear this isn’t an ad, I’m not being paid to say this – it’s just my opinion). 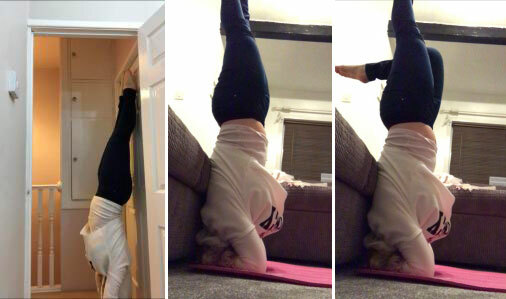 Another thing I’ve started doing is Yoga. I don’t just mean doing the exercise either. I’ve started reading about it as well. I’ve read ‘Mind Body Bowl’ by Annie Clarke and absolutely LOVED it. It is genuinely one of the best ‘self-help’ type books I’ve ever read. I actually want to read it again sometime but for now I have so many others that I want to read. My current book is ‘Do Your Om Thing’ by Rebecca Pacheco. Again, a brilliant book. I’m only on chapter 2 but already I feel like I’m learning so much (chapter two is a very long chapter though just to point that out!). Just reading those books is relaxing me. I’ve barely watched any TV at all. Even when I’ve been going up to bed, I normally stick the TV on and put it on ‘sleep’ so that it will turn itself off after an hour. Instead, I’ve read my book and then put Headspace on and fallen asleep to the ‘sleeping’ meditation. I’m still waking up feeling extremely tired and I’m struggling to get out of bed on a morning but considering last week I couldn’t get out of bed AT ALL, I don’t think I’m doing too badly. I’ve also started taking magnesium tablets to help with tiredness and fatigue and I’m patiently waiting for those to get into my system and start working. Like I said earlier – I don’t know what has caused this bout of anxiety but I’m glad that I seem to be on the other side of it again now. I’m actually wondering if part of it was caused psychologically as it’s just been a year since I became ill the first time. I may never know! It is all over the internet these days to really think about what people may be going through. They could be fighting a battle that you know nothing about and you should be kind to one another. There are so many people suffering with different forms of mental illness and we should be helping each other not fighting each other.